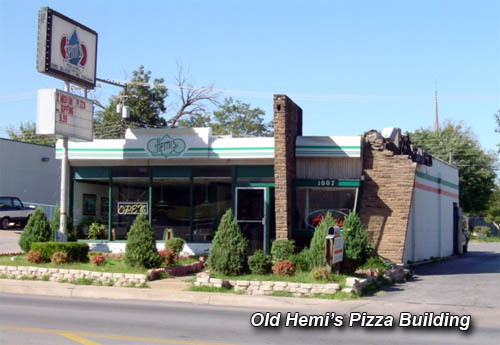 The long-shuttered old Hemi's Pizza building at NW 23rd & Olie was razed yesterday to make way for a new mixed-use development. The building is part of four adjacent lots comprising .65 acres soon to be redeveloped; most likely a combination of retail along 23rd and residential above and behind. The structures will be 2 to 3 stories and the design is currently being finalized. In 2012, the previous owners had sought demolition approval from the Urban Design Commission and then later withdrew that request after City planning staff recommended it be saved. The 1,695 square foot building was constructed in 1951 and had fallen into severe disrepair in the last few years. Ultimately, City Council approval placed in the dilapidated structures list and thus design approval was no longer required. It's yet another development in the red-hot Uptown / 23rd Street district which has recently sprouted scores of new restaurants and retail establishments after decades of neglect: The Rise, Pizzeria Gusto, Pump Bar, Back Door Barbecue, Grandad's bar, the 23rd Street Courts and several others. Currently, the historic Tower Theater has commenced significant renovation, Guyutes is set to open soon and the Gold Dome has gone under contract to the developer of The Rise. 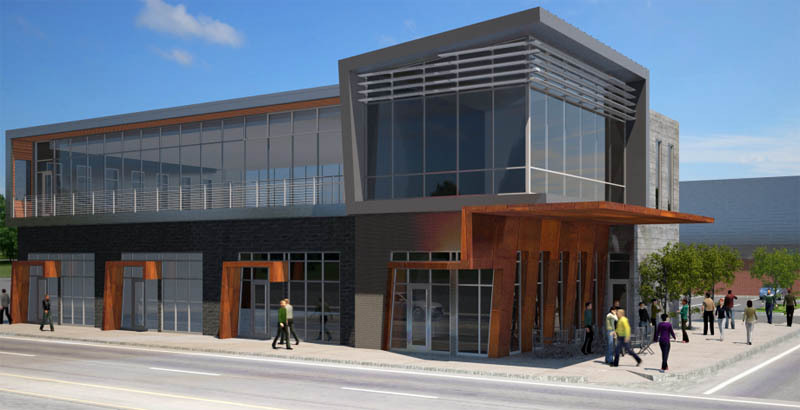 Directly across Olie, plans are underway to renovate a former electrical substation into offices and a yoga studio. In the early 70's Hemi's was located on the East side of Classen between 23rd and 24th next to a clothing store called The Jeanery. Not sure when they moved to the Olie location. Any idea on the timeline? Do they have their loans in place? Glad to see this eyesore finally razed. That's good news.... Drove by that building a couple of days ago and some guy was leaning up against it using it for a urinal. They have a good architect and should release preliminary plans soon. I believe they already have the financing in place. it was a cool old building but had gone too long sitting and being an eye sore.. wish someone had saved it long ago but glad to see new development. I was told there were trees growing up through the foundation, the roof had caved in and the support trusses had rusted out. Hopefully with the new City ordinances property owners will no longer be allowed to let things get to such a terrible state. In this case, it was the previous owners who just sat on the property for years without maintaining it. Always good to see progress on 23rd. This was the worst looking building between 235 and Classen. If we could get 1609 ("AM Pizza") and 1520 (Boarded up trapezoidal shanty) to pick up the torch west of Classen, that would be fantastic. I think that building could have been revitalized and turned into something great. It's sad that it fell into such disrepair that demolition was the only option. Nonetheless, I am excited to see what plans are in store for the property. Yes! I'm been waiting SO long for somebody to do something with both of those locations. I wish I had the money to do something. Especially at 1520. I remember when the florist shop was there, with the beautiful glass front, and partially on the sides, from the ceiling to the ground. That place could be so special again with the right investment. The materials are gorgeous. I love that combination. I agree, this is pretty badass and a great urban design. The developer sought to close the alley between the two parcels (ala The Rise) to provide more connectivity and density, but the City didn't allow it, thus this first phase with the townhomes to come later to the north. BTW, add Mass Architecture to the list of local architects doing great work. They are also behind Chisholm Creek and several other very cool projects. Congrats to Mass for hitting a home run, excellent work. This will really raise the bar for Uptown. Wow, this turned out better than I could've imagined. Uptown is really starting to hit its stride now. This looks awesome. Why do you think they were not allowed to close the alley? Yes. They are ready to go once they receive design approval. This is incredible. Add in the townhomes, this will be amazing. Is this the first new residential being built since the Uptown revival? Count me as very very excited for this. Wow! Once completed, it will stand in stark contrast to the O'Reilly's next door. Any word/rumor on the type of retail that will fill the ground floor? They are working on getting tenants; I bet they won't have much trouble. The retail space is only 4,700 square feet which can be divided into 4 smaller spaces. In your post you said 9,400 sq ft of retail space on the ground level. Which number is correct?